These aren’t your typical pests rooting through your trash. I might not be so quick to complain about the squirrels in my yard after this story. Nah, who am I kidding? I hate those furry little garbage-scrounging beasts. But I’m grateful that they’re not 10 feet long, over 1,000 pounds, and aggressive. 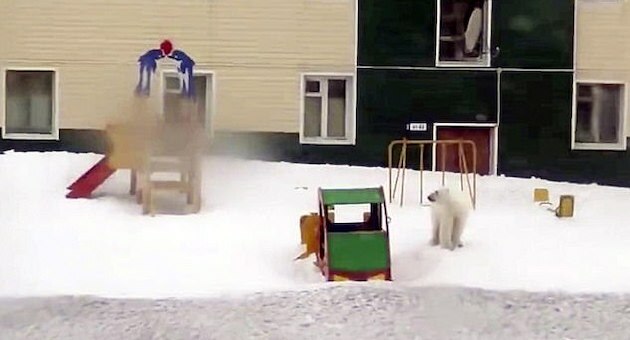 In Russia, they’re dealing with polar bears approaching public buildings because they’re not afraid of people. A state of emergency has been declared. The aggressive bears have entered homes and public buildings in the remote Novaya Zemlya archipelago – home to around 3,000 people – where officials have warned of a ‘mass invasion’. Since December 52 polar bears have regularly visited the archipelago’s main settlement, Belushya Guba, with some displaying ‘aggressive behaviour’. People are ‘afraid to go outside’ and ‘daily life is in turmoil’, said the deputy head of the local administration, Aleksandr Minayev. Despite the threat to humans, the Russian government has refused to allow residents to shoot the bears. Their reason? Because the bears are endangered. The nature preservationists in Moscow have decided that any damage to the polar bear population would be worse than a possible attack by a polar bear on humans. We’re not just talking about adults, either. 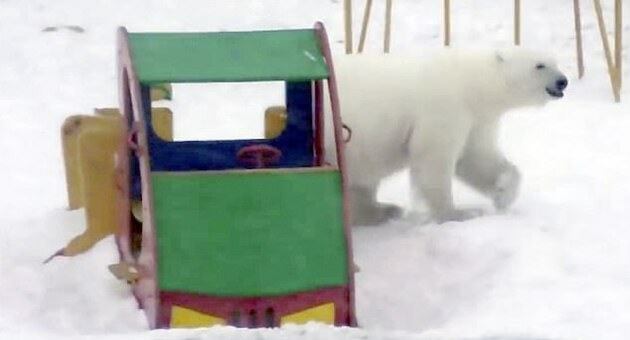 Here are some photos of a polar bear meandering through a playground. Notice the absence of children. Well, there seems to be a good reason for that. ‘Parents are wary of letting children to go to schools and kindergartens,’ he said. 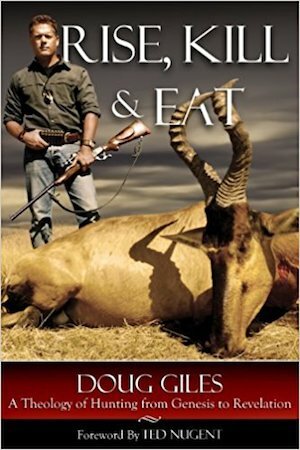 ‘There are cases of aggressive behaviour of wild animals – attacks on people, penetration into residential and office buildings. Bears are constantly inside a military garrison and ‘literally chase people’ as well as going into the entrances of blocks of flats, another official said. Here’s a disturbing surveillance video of a polar bear inside of a residential building. Notice that those do appear to be strollers that the bear walks next to. But wait! This isn’t just one or two bears, it’s a whole lot of them. So, I guess polar bears are more important than people. Good to know. The government is, of course, blaming climate change as the reason for the bears moving inland. Global warming is causing the Arctic sea ice to melt and pushing the bears inland for food, experts claim. Maybe there’s a much simpler explanation. Could it be because when humans are around there’s just more food that is easily accessible? 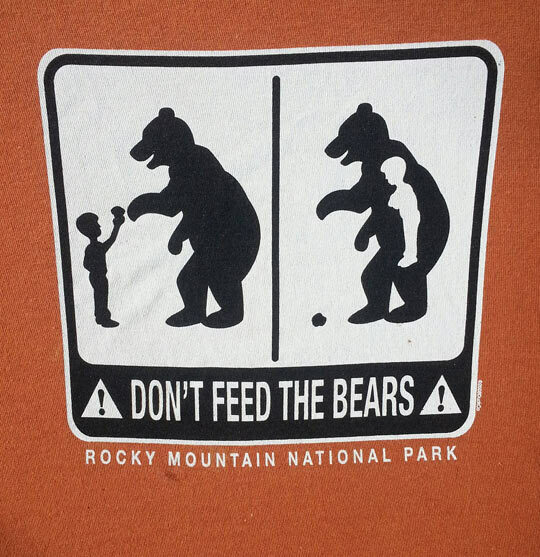 That isn’t just advice for Rocky Mountain National Park, but for all people everywhere that there are bears. I actually have no idea if the bear feeding video and the infestation of bears is the same area of Russia or not, but geez, people! The Russian government is sending polar bear experts to the remote outpost to educate the 3000 residents on ways to discourage the 52 bears from invading their homes. The problem is that residents say that the bears no longer fear the vehicle and dog patrols. There is an easier solution and one that would actually protect human life, but the animal rights activists wouldn’t like it much. It’s weird how some activists can be more concerned about animals than other human beings.